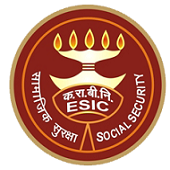 ESIC Haryana Jobs Recruitment Notification 2018.Employee State Insurance Corporation (ESIC), Haryana inviting applications for the positions of senior and junior residents, tutors.Interested and Eligible candidates can apply for the positions. Applicants must be completed MBBS/ Post Graduate/ Diploma from recognized university . Applicants minimum age limit i9s 30 years and maximum age limit is 35 years. Selected candidates will get pay per Rs.67,100 to Rs.1,01,000/-. Per month.